ProjectFREE is a non – profit who is fuelled by parents, educators, friends and people with intellectual disabilities. Our mission is to create opportunities for people with diverse abilities and in a years’ time are proud of our accomplishments. This is just the beginning and with your support we will raise the bar in education, housing, and employment. We believe people with intellectual disabilities are the last population in this country that do not have to be paid minimum wage, need permission to save more than $2,000 and are excluded from the American Dream. Join ProjectFREE in making a difference. The movement is contagious. ProjectFREE is working on three exciting projects simultaneously and when the time is right will share with the community. Know one thing, ProjectFREE is committed to raising the bar in education, housing, and employment. ProjectFREE opened ProjectFREE Gallery and Studio an all-inclusive ENTREPRENEUR program in Pinellas County that provides opportunities for people with diverse abilities by creating and implementing the ARTISAN ENTREPRENEUR PROGRAM(S). This programs create purpose, promote health and fitness, self-sufficiency, and activities that connect our artists to their community and improve the quality of their lives. Most exciting this program not only supports our students but LOCAL ARTISTS as well. Local artist have come together to make this valuable program happen. Students receive 100% of sales and our teachers will receive salaries and 80% of the sales. ProjectFREE has invited Pinellas County residents with intellectual disabilities to attend monthly free weekend art classes taught by local artist. Our clients receive 100% of their sales. Throughout the years we have provided classes to 60 young adults. ProjectFREE added Get Fit with Florida’s personal trainer and nutritionist Debra Douglas. Ms. Douglas is a certified physical education and health teacher in Florida and has incorporated health, fitness, and a nutrition curriculum that is unique to the individuals’ that we serve. In the classroom students learn about their disability and how their disability affects their health. For example, our downs students have learned about their metabolisms. Students participate in forty – five minutes cardio three days in aerobic / cardio activities. They plan their meals, familiarize themselves with labels’ and learn how to order from restaurant menus. Camp Epic, ProjectFREE’s summer camp program serviced over fifty adults with intellectual disabilities participated in Entrepreneur opportunities, health and nutrition and life skills academics. ProjectFREE provided scholarships’ to several individuals. Back by Popular Demand…Evening Adult Art Classes. With top local artist. SMALL CLASS SIZES ONLY 6 in a class always!! September – December classes sold out. New semester begins January 15, 2015. Look for sign up. ProjectFREE Theater Club RisingSTARZ performed Mamma Mia, an original adaption created and directed by Synchrony Production, a Tampa Bay production company. 22 adults with diverse abilities have come together to perform this extravaganza. Our actors practiced two nights a week for 16 weeks. The performance was held at the Catherine A Hickman Theater October 17 – 19. Our actors performed to 3 sold out crowds and performed 2 encore performances Oct. 26 and 27. There was not dry eye in the house. ProjectFREE received their Medicaid Number and will unveil its Supported Employment and Adult Day Training Program(s). One thing for sure ProjectFREE will pay minimum wage to clients who participate in Supported Employment or the Enclave Entrepreneur ADT Program. ProjectFREE Gulfport Artisan Entrepreneur Program has merged with ProjectFREE Agency and will focus on servicing behavior focus consumers. The program will focus on a 1:1 and 1;3 ratio. 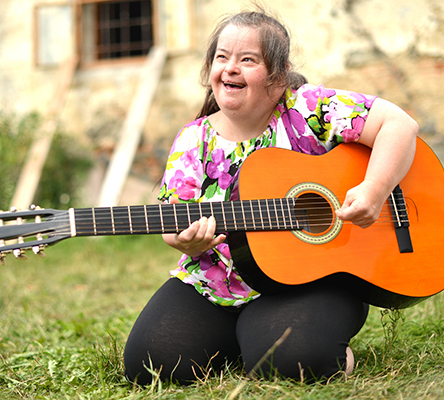 This programs create purpose, promote health and fitness, self-sufficiency, and activities that connect our artists to their community and improve the quality of their lives. Most exciting this program not only supports our students but LOCAL ARTISTS as well. Local artist have come together to make this valuable program happen. Students receive 100% of sales and our teachers will receive salaries and 80% of the sales. ProjectFREE created the Artisan Entrepreneur ADT Program for 15 verbal and non – verbal behavior focus adults. Small class sizes allows our certified staff to implement a total person centered curriculum that address education, physical fitness / nutrition, life skills, independent living and emotional growth. Students rotate between 3 teachers and 2 artist Monday through Friday, 10 – 4 PM. I am excited to announce ProjectFREE’s, Cabana Apartments. We have 13 units in 3 building located on Gulfport Beach, across the street from the bay. The units will be available to lease June 1 and we are taking applications now. The complex is gated, provides a game room, basketball, swimming, boating, maid service, and PAID Supported Employment Training in 3 businesses. Residents have a choice of bringing in their own furniture or ProjectFREE will purchase their furniture for them and provide an interest free loan with a minimal payment until paid off.